The Daily Dimwit: Another Great Trade Night! Well, the first Saturday of the month is here again. I spent most of my day at the LCS, as they catered to my demands of watching the SHSU-NDSU FCS National Title game, which sadly my SHSU Bearkats lost for a second consecutive year, and then it was Texans time! It was a close game but ultimately our D stepped up, and our offense did just enough to win. I bought a whole box of Sweet Spot because it was a bit cheap. I got lucky on the Strata as I only bought a few packs. The Fried is the hit of the night, as it's going on eBay for about $50!!! SWEEET! The Moon is actually a gift from a friend at the shop, he bought a case of Goodwin last year and he had a couple extra Moons. 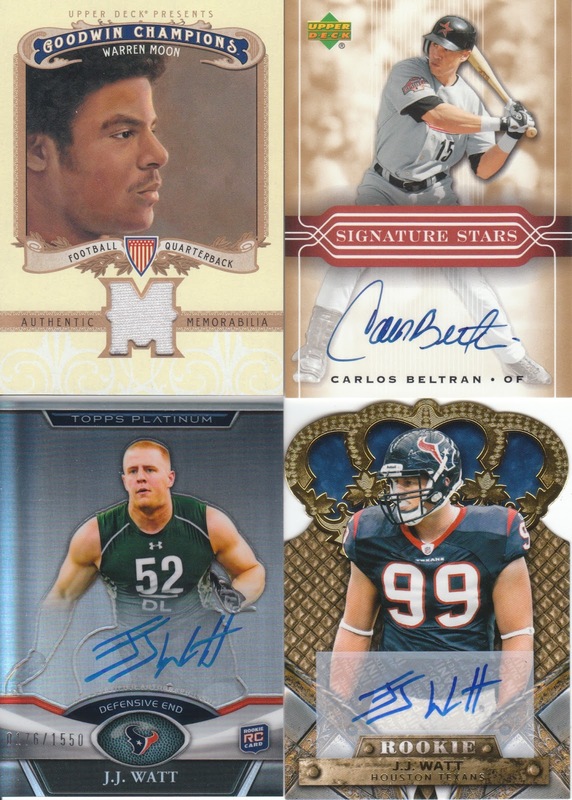 The Beltran is a trade with my buddy James at the shop who also runs Unabashed Interest. I parted ways with a Patrick Wisdom Bowman Sterling auto. The two bottom cards are my favorite. 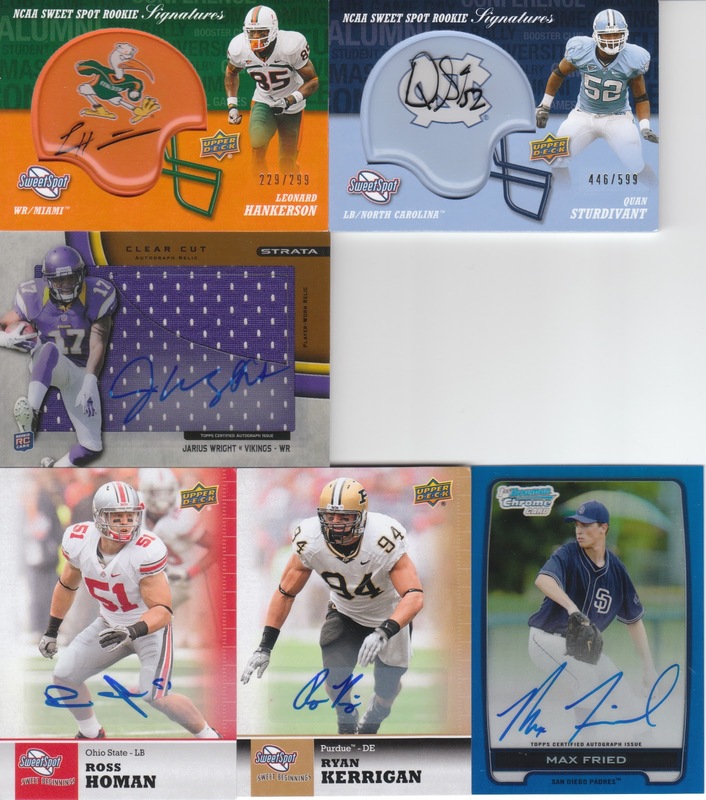 I gave up the Drew Brees auto I won a month or two ago, and I may have overpaid but the Brees drew no interest and I was ready to part ways to pick up two sick autos of Mr. Watt!!!! I'm going to do the group break randomization tomorrow! Boxes should hopefully be here by Wednesday! Darn, I realized today that I wanted to try and trade for that Brees. Haha. Oh well, s'all good. nice word play, and nice Watt Auto's. Maybe I need to take a trip south to visit ur lcs!